The new Knole Academy marketing materials are the culmination of a truly collaborative design process. The art department provided us with a rich selection of student-generated imagery that we used as the inspiration for our concepts. The result is a delightful combination of type, photography and student artwork interwoven into colourful layouts that distinctly represent the academy’s Expressive Arts specialism. 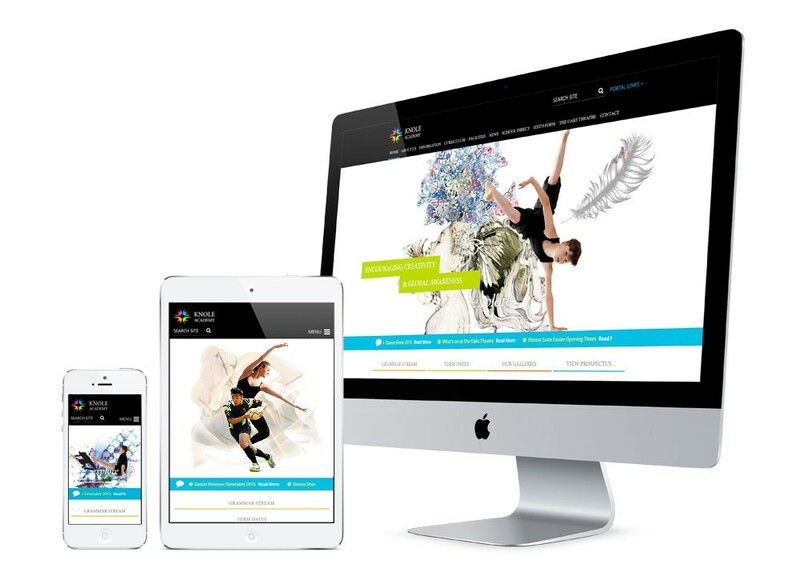 The new website is a fully responsive portal into the academy’s vibrant learning environment. By showcasing artwork, performances, news and events in a way similar to any professional gallery or exhibition space, the focus is strongly on students’ creative and academic accomplishments.